NASA About the size and weight of a smart car, Voyager 1 is the farthest and fastest human-made object. You decide to store your car in a garage, return to it 37 years later, jump in and turn the ignition key. If it starts right away, you deem it a small miracle, right? So let's give credit where it's due, to not one but four ignition starts on small engines — trajectory correction maneuver (TCM) hydrazine thrusters — located on the back of the most distant human-made object, the Voyager 1 spacecraft. Last fired up Nov. 8, 1980, when the craft was near Saturn, the four thrusters worked flawlessly when tested Nov. 28, 2017. Voyager 1 made spectacular flybys, first of Jupiter, then — 20 months later — of Saturn and Titan, which it photographed from just 4,000 miles away (half of Earth's diameter) in November of 1980. After that, it entered what NASA engineers call its "extended mission" — heading out of the solar system into the wild black yonder. Now it's been idle for the last 37 years. The cameras were shut down soon after leaving Saturn to conserve power but several other instruments continued to monitor the solar wind (the stream of charged particles emitted from the sun) and the magnetic field of its environment, sending back information on a daily basis to NASA's Deep Space Network. Voyager 1 is now in interstellar space, having crossed the "heliopause" (the boundary where the solar wind comes up against the interstellar medium) five years ago. At 13 billion miles away, not only is it the farthest object we've sent into space — it takes radio waves nearly 20 hours to travel from it to Earth — but it's also the fastest, traveling about 11 miles every second (think Eureka to New York in four minutes). Because it's so far away, those faint radio waves have to be tightly aimed back to Earth, meaning that the spacecraft orientation has to be regularly adjusted. Until now, four other attitude control thrusters have been doing that job, but they've been degrading and now the other four TCM thrusters — originally used to change the craft's trajectory — have been brought into service. No mean feat! 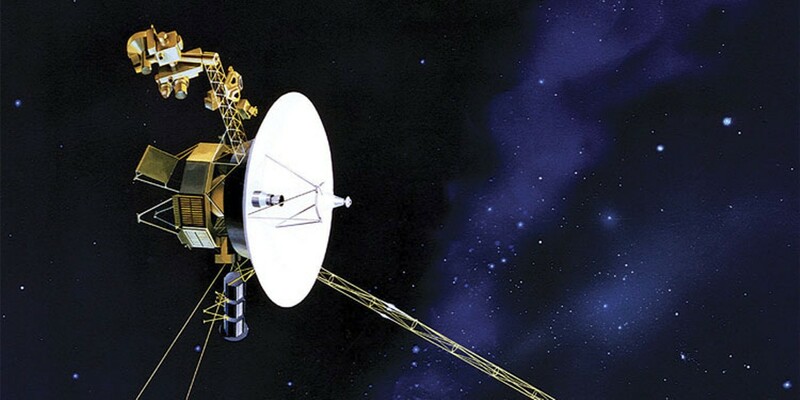 The Voyager team based at NASA's Jet Propulsion Laboratory in Pasadena had to dig up 40-year-old data and decode outdated assembler language in order to send instructions to awaken the long-dormant thrusters. Each of the four thrusters worked immediately. According to one of the engineers responsible, Todd Barber, "The Voyager team got more excited each time with each milestone in the thruster test. The mood was one of relief, joy and incredulity after witnessing these well-rested thrusters pick up the baton as if no time had passed at all." 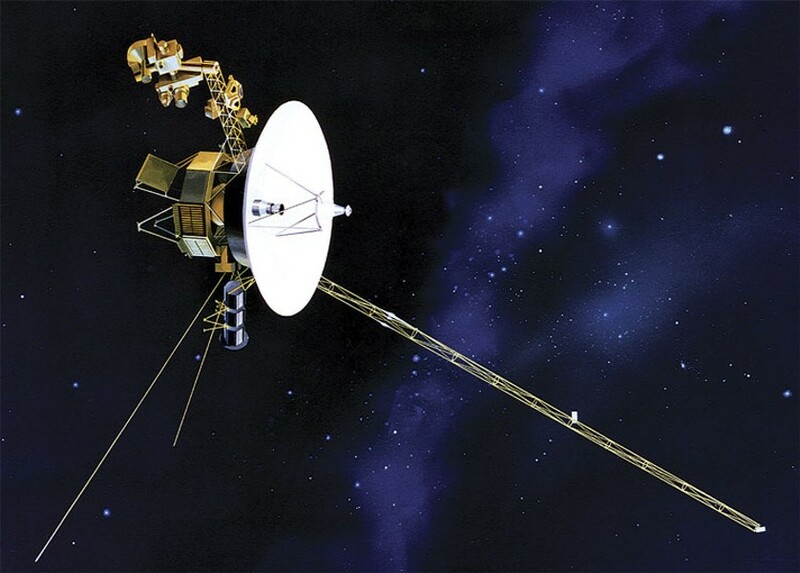 As a result, Voyager 1 has been given an extra two-to-three years of actively communicating with Earth. For a craft built in the mid-1970s, one that used software from before the advent of personal computers, Voyager's new lease on life is a triumph of engineering and a testament to the robust design incorporated into this little machine. As I titled a presentation I used to give soon after the heady days of the Jupiter and Saturn flybys, this is truly "The Little Spacecraft that Could." Barry Evans (barryevans9@yahoo.com) cribbed the title of this column from that great (and tenth) Moody Blues album.